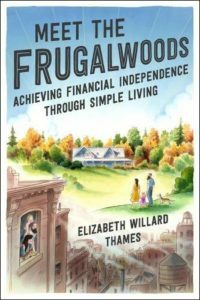 There’s always something to woot about in our frugal woods and this week, I’m delighted to regale you with 12 random facts about the Frugalwoods fam. These facts come to you, dear readers, courtesy of The Versatile Blogger award, which was lovingly bestowed upon Frugalwoods by three of our awesome blogger buddies. 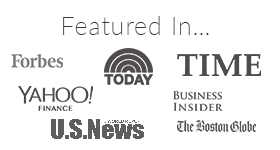 A big thanks to Alicia from Financial Diffraction, Shannon from Financially Blonde, and Kara from The Daily Wisk, who gets extra props for her nomination of Frugal Hound specifically. I’ve come to terms with the fact that our dog is more popular than we are. It was bound to happen as she is much softer to pet. For the record though, I also appreciate head rubs. 1) We have 8.5 lbs of chili paste in our basement. Chili Paste! The giant jar is thrifty but unwieldy, so Mr. FW uses it to refill the small jar. Don’t worry, it’s in a container. Purchased for $14 at the local Korean market, this will spice up our primarily vegetarian fare for months. We like it spicy, spicy hot! 2) Mr. FW and I haven’t been to a movie theatre in 6 years. The last movie we saw? Wall-E. Don’t judge. In addition to movies being ridiculously expensive, I am a fidgeter. Neither of us are fans of being forced to sit still for the duration of a movie. We are notorious for taking days (if not weeks) to watch an entire movie at home. You can guess how long it took for us to complete the Lord of the Rings movies. Plus, snacks are at home. 3) We were both in marching band and speech & debate in high school. Nerds before we even knew each other. Mr. FW toted a tuba and I trilled a trumpet. Sometimes we bust out our instruments and march around the neighborhood. Kidding. Or am I. We both loved speech & debate and, as a result, neither of us has the slightest problem with public speaking. 4) Frugal Hound caught a mouse once. While on a leash. Still not sure exactly how this played out, but, a mouse saw Frugal Hound and decided to LEAP out of the grass, practically into Frugal Hound ‘s fangs. Frugal Hound, being both a dog and not entirely blind, chomped the mouse mid-air. To her credit, she responded to the “drop it” command and woefully deposited the mouse on the ground. 5) I flail around so much that my arms can resemble a muppet’s. When I’m in a state of great exhilaration, my limbs sort of flop and fly around. The T-Rex incident is related, but not quite the same. 6) Mr. FW built our coffee table. Fabricated by hand out of 1 log and 1 sheet of steel by 1 man with 1 beard. We’d been using a rubbermaid tub as our coffee table, so I was real glad when this thing was finished! 7) We lived underground for the first two years of our marriage. In a deep basement apartment surrounded by quarried granite block. The sounds (and light) of the outdoors could not penetrate. It was silent, dark, and a bit dank. Upside? It was super cheap and we saved a bundle-o-dough. We were only flooded twice. 8) I was a ballet dancer. I took classes from age 2 to age 26. I love the fluid lines and movement of ballet and I enjoy incorporating it into my yoga practice. 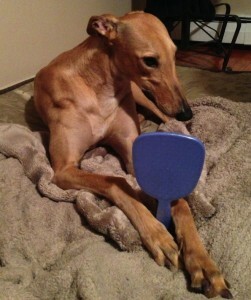 9) We thought Frugal Hound was mute for the first few weeks we had her. 10) I’ve barfed my way across the Atlantic. An ill-timed case of food poisoning on a flight from Washington, DC to Brussels, Belgium. Turns out, the fastest way to get through customs is to pitifully barf in a bag while standing in line. A customs agent will come usher you to the front. Guaranteed. 11) Mr. FW was a storm spotter. For the county emergency management department in high school. In Kansas. Tornadoes. All I’m going to say is: tornadoes. Mr. Frugalwoods here: ham radio, meteorology, wide open spaces, yep, this was a fun job. 12) We’ll both eat just about anything. We are darn adventurous eaters, plus we’re darn cheap. Put these two facts together: if you offer us a food item for free, and we’re relatively sure it’s not contaminated, we’ll eat it. Try us. And now, I nominate the following fabulous folks! This week’s grumble is the fact that we’re not able to attend FinCon (the financial bloggers conference taking place this weekend in New Orleans). We are deeply honored to be a finalist for the Plutus Awards category of Most Humorous Personal Finance Blog and are bummed to miss the festivities. Mr. FW is leading an interpretative movement piece on the theme of “Beards: Why Your Brand Needs Them and How to Leverage Their Lustrousness for Optimum Value-Added Propositions.” And I have a motivational self-help power point coming up on: “So You Think You Have a Problem With Eating Too Much Dried Fruit While You Write Blog Posts.” Should be a rousing good time! I want to give a shout-out to Debs from Debt Debs who is hosting an awesome Frugal FinCon Fiesta for those of us not at FinCon! And so, in the spirit of this fiesta, ask me about more random Frugalwoods facts in the comments section! (I reserve the right not to answer if your question is related to how much candy corn I’ve eaten lately). I want to hear Frugalhound’s keynote! And can I borrow her to contain the rapidly rising mouse population inside my house? But my question for the Fiesta is: is there any area of your life where you just let loose and spend whatever you want? Good question! When we decide to go out to a restaurant to celebrate something special, we order what we want–not just the cheapest thing on the menu. We rarely eat out (once every few months) so when we do, it’s a big celebration! That being said, we’re notorious for reading menus and reviews online in advance to make sure we’re getting a good deal :)! Hah! Beard for the win! Yes, Mr. FW has only had a beard for the last year. Before that he was totally clean shaven :). I like both the beard and the beardless versions, so I’m fine with whatever he chooses to do with his facial fur :). We had a cat like Frugal Hound – he never talked and then when he got to about 5 years old he found his voice. And now he won’t shut up… which doesn’t bother me unless it’s 4 in the morning. He’s just so comical… I think it’s that he meowed so high pitched that we couldn’t hear it, and now he realized what us silly humans can hear is different than him. He’d open his mouth and no noise would come out. We cracked up when we bought that jar–the photo doesn’t do it justice. The thing is massive. It’s refrigerated, so it can last for years in the fridge. Otherwise, we’d be in trouble :)! Our dog doesn’t bark either. The only time she ever makes a sound is when the neighbor’s cat is in our yard and it’s more like an eeek sound. We were told she is Sharpei, Rottweiler, and Boxer, but maybe there is some greyhound in there somewhere? I used to have a Jack Russell terrier, God rest her neurotic soul, who caught mice like a cat. It was really awesome the year we lived in the damp rental house beside the Mormons, which was an interesting year to say the least. Have fun at your Fiesta and have a great weekend. An eek! How sweet! It’s really great to have a bark-free dog, isn’t it? We feel quite lucky. Your pup should submit a Frugal Hound Sniffs interview :)! One of my biggest fears is barfing, not to mention it being on a long flight. That must have been horrible! I was in the marching band too and whenever I hear the local high school practicing, I feel very nostalgic. I didn’t play an instrument though. I was in the color guard in high school and pom poms in college. We differ on the moves. I LOVE movie and would go more if my budget allowed. It’s been the one constant hobby since I was a little kid. Hope you win the award even though your’e not there, and my question for you is: What piece of candy is your favorite? Yay color guard! That’s awesome! Way to ask the toughest question, Tonya! It’s a toss up between candy corn and Reese’s peanut butter cups. Totally different ends of the spectrum, but both amazing (and both should be kept far away from me). Oh and Butterfingers! Love those too. Hello, I’d like to place an order for a coffee table. Does PayPal work? Oh, and do you ship? Amazing. Thank you. You’ve just made Mr. FW so happy! He’s hoping/planning to build similar types of furniture to sell once we’re homesteadin’ and have the space for it! Well you got me to laugh a couple times, this is a great success. Marching band and debate very lethal combination, no forensics I don’t know if you guys were trying hard enough. We actually both did forensics too! But I didn’t want to make us sound TOO nerdy. I was trying to, ya know, make you think we were cool in our marching band uniforms. That jar though. How long does it take to empty that thing in a two-people household? 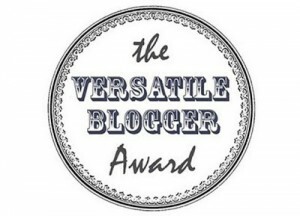 I was also nominated for the Versatile Blogger award, but the list of fun things I’ve come up with isn’t nearly as funny as yours… Dammit! To the drawing board. I did think of you when I wrote that :). This is our first gigantic jar of chili paste, so I’m honestly not sure. We do use a lot of it, but I’m guessing somewhere in the neighborhood of 10 months to a year? We also rub it all over our faces and use it as shampoo, so maybe sooner. I bet it will take us less than 6 months. We like it spicy! I got nominated by Money Pincher but only have to share 7 facts. Phew! I’ve had all of them except for Balut. That’s an awesome coffee table that Mr. Frugalwoods built. I’ve had chicken feet (and pig feet!). Yum. Haven’t had the other things on the list, but I’d give them a try. When I was in japan I ate a bunch of unusual but delicious things! Your first apartment sounds like my office, LOL! Bet you’re glad to be out of there! 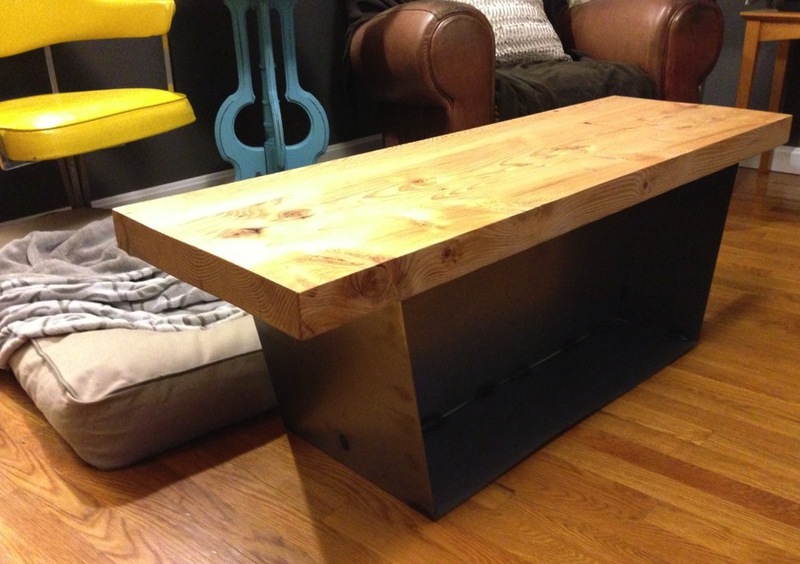 And also, that’s a pretty sweet coffee table – definitely an improvement over a rubbermaid tote! I love spicy too! I made my very own spicy vinegar for almost 3 years now and I think I can’t eat without it! Spice vinegar sounds amazing. I’m a big fan of spice in most foods! Holy chili paste! And I thought I was insane for considering the badia quart of chili powder next time we seem to go through it fast enough. Cat role models! We actually “rooed” at Frugal Hound A LOT to get her to start roo-ing. Now we roo along with her (yes, we are those people). Glad to hear Kitty PoP found his mrooooow! We have a studio apartment setup in our basement and we rent it out. It doesn’t get much light and could really use a big window added next to the door, but for now it is happily leased by our renter. Our basement did flood once last Summer (our first Summer in the house) but we were home (thank goodness) and the city has since put in a backflow preventor in the storm drain as well as will be paying to have our lawn graded in a couple weeks. I wish we could rent out the basement of our current home! Unfortunately, not possible with the way the house is built. That must be a nice revenue stream for you. Thanks for the nomination! Did you notice that all the bloggers offered pretty much the same parenting advice – which is ignore parenting advice. LOL. I love you blog. You have a way with words! So glad you enjoyed it! Thanks again for the nomination! 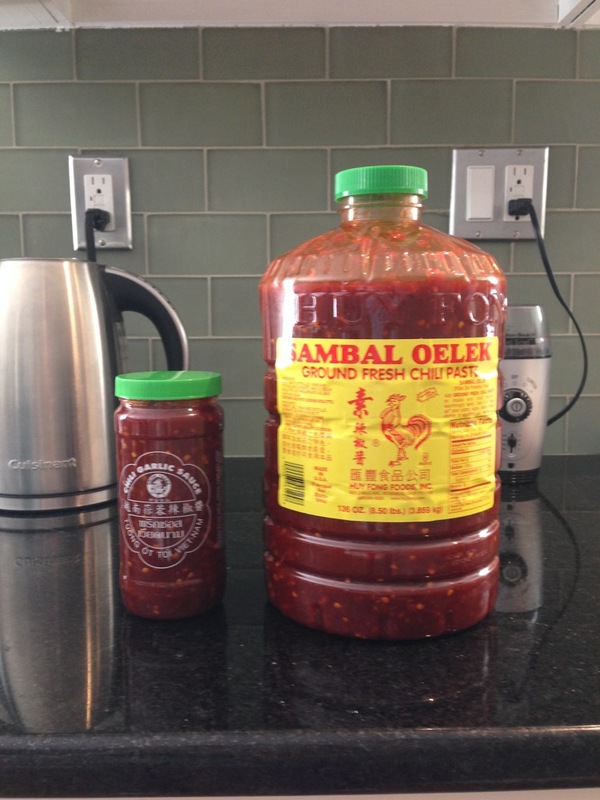 Couldn’t resist including my giant chili paste canister. Third position is always my default when I’m being photographed :). 2AM!!!???? I went to bed at 8pm last night. I better rest up for FinCon next year! My English teacher one year was the forensics team coach. So we did a debate. I loved it. Wish I had joined. Did you ever find yourself debating against something you were really passionate about? Oh yeah, all the time! I think that’s part of the fun. It’s easy to argue for something you like, much harder to step into the other side’s shoes and make the argument seem cogent. Loved debate and forensics so much! Best thing about high school, by far. I think I remember you mention something aboutb having a standing desk at work. I’m curious if this was something that was already in place when you started or you requested it? How do you like it? I am thinking of asking at work for one. I do indeed have a standing desk at work and I love it. I’ve been standing for almost a year and I vastly prefer it to sitting. I had to request it, but it wasn’t a problem and subsequently a number of my co-workers have also moved to standing desks. Let me know how it works for you! Gratz to frugalhound,he adds spice to the blog,whereas you add flavor! Kudos to you for saving and toughing it out in a small place! We’re really glad we did–we were able to save sooooo much by doing so. Spicy hound :)! OK so my question about the refrigerating the chili paste was answered in the comments. I love how FH roos and that she dropped her mouse! Great list of random facts – so varied! Thanks for the shout-out about our Frugal FinCon Fiesta. I’m sorry you didn’t win the Plutus but there’s always next year! You say that you don’t mind Mr FW beard – how do you not mind all that hair when kissing? 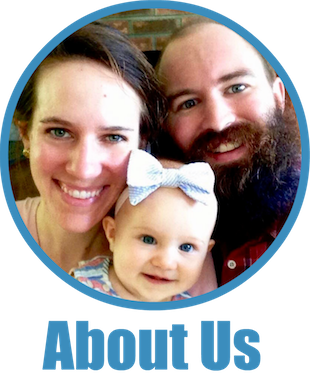 My SIL has a big red bushy beard (check out my pic on my final Frugal FinCon Fiesta post today and you can sort of see it) and I often wonder how my daughter stands it. Of course, The Irishman doesn’t seem to be able to grow a full beard so I really don’t have any first hand knowledge just conjecture. I do like a 2-3 day growth though! I love the coffee table – beautiful design. My dad does woodworking as a hobby and recently helped my husband complete his first woodworking project – a side table. I love it and hope he sticks with it.Next I would love a blanket chest. It’s wonderful to have homemade furniture and whatnot. Can’t beat the quality and the loveliness of those things. Absolutely! Thanks so much for the kind compliment. I’m a big fan of clean, simple lines, which translates well to homemade furniture. I look forward to Mr. FW having the time and space on the homestead to build more pieces. That’s really nice that your dad and husband are working together on projects–very cool. I’m pretty frugal, but I do occasionally splurge on a movie I really want to see (I can be impatient sometimes). However, I wait for Redbox or the local library 99% of the time. I would probably pay money to see the Frugalwoods Fincon speeches. And then I would slip the coffee table in my purse on the way out – that is seriously an awesome piece of furniture. And thank you for the nomination :). I am not a movie theatre person due to being fidgety, too. I’m also prone to flailing about. But that begs the question, how did you make it in ballet? And yoga? 😉 I have horrible balance… I don’t know that we could go back to living in a basement apartment; it kind of killed our spirit last year. We also weren’t getting an amazing deal, so it wasn’t worth it. I like your version of FinCon! Sorry for my late comment! #9 is so heartwarming! We had a similar experience with our rescue pug. He wouldn’t lay down and relax for several days. He would fall asleep sitting up! Oh poor pug-let! That is so sad. They’re just on edge when they come to their first home. Frugal Hound had never been given a treat before and we had to teach her how to accept them from our hands! I always wanted to learn ballet, or any kind of dance. Unfortunately now I feel like it’s too late to learn. Thanks for nominating me. If you’re interested, you could take an adult ballet or dance class. I took ballet until I was 26 and there were plenty of people older than me in the class. You are most welcome for the nomination :)! I had to laugh at your big bottle of chili paste. We do the same thing occasionally with expensive sauces or seasonings. The last embarrassingly large purchase was a five pound huge can of hoison sauce that was labeled for sale to restaurants (bought for $7 from our friendly neighborhood asian grocery store). That’s roughly 6 times the size of the normal bottles of hoison sauce, at only 2.5x the price. It makes a great stir fry base and marinade for roasted chicken or pork. We do in fact use chili paste in a lot of different dishes so I’ll be shocked if we make it to next summer without needing to get some more. I’ve been reading all your articles from your first and am cracking up. And today I find out that you are a trumpet playing band nerd. I still play my trumpet, but marching is in my past. And I was band prez my senior year. I just felt we were kindred spirits, and I believe this is why. That’s awesome! Gotta love the fellow band geeks! I really enjoyed being in marching band–was so much fun and I made so many awesome friends. Glad to have you here :)!